The year 2019 is only few weeks in and already has its very own social media challenge, the “How Hard Did Aging Hit You Challenge,” with its accompanying hashtags, the #10YearChallenge, #2009vs2019, or for the more seasoned veterans, #1999vs2009. The goal? Compare how your appearance has changed over the past decade or two. Have you aged gracefully or are you a hot mess compared to when you were younger? Simply find an old picture of yourself and place side by side with a current picture, post on social media with the appropriate hashtag, and voila! Let your followers comment away and tell you how gorgeous you are, lie about how you haven’t changed a bit, or laugh at the photos of you with no facial hair or loads of acne. I have only started sharing pictures of myself recently on Facebook as a means of rekindling relationships with distant relatives, but the temptations to cave in to the latest social media trends pop up every now and then. I was thinking of finding a picture from 2009, but then it dawned on me that a lot more than my appearance has changed since that year. In fact, there would be little benefit in trying to compare a picture of me from 2009 with a picture of me now on Facebook, because back then my face was covered. I was wearing the niqab (the Islamic face veil). It has been so long since I stopped wearing it that I had almost forgotten. In 2009 I was just returning to the US from Egypt, still high off an increase in iman (faith) after being in a Muslim land surrounded by towering minarets, the melody of a dozen adhans, and the sight and smell of the street markets where smiling Muslims sold warm flatbread and falafels. I started reflecting on why I had chosen to wear a face veil, and then later remove it. To me, that has more weight than how many wrinkles I have gained in ten years. A little background… Prior to moving to Egypt to study Arabic for a year, I had been living in Northern New Jersey with my family. We were attending a predominately African-American mosque in Paterson which strictly adhered to what they described as the “Salafi” methodology, taking guidance mostly from a list of “approved” Saudi scholars. As such, most of the women who attended the mosque dressed in all black and wore niqab. Some of them wore niqab “full time,” while others only wore it to and from the mosque and at Islamic gatherings. The male congregants often complained or inquired (for marital purposes) about the sisters whose faces were uncovered, causing newcomers to often feel awkward and uncomfortable, myself included. Most sisters opted to bring along a niqab to wear to the masjid rather than deal with unwanted attention and unsolicited marriage proposals. Before you, the reader, make any assumptions about this masjid based on the above, I want to express that I still consider it, at that time, to be one of the most welcoming centers I have attended. 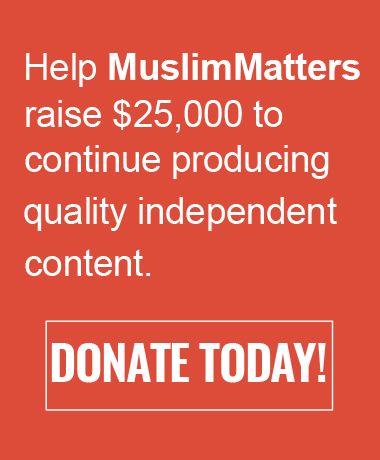 There was a warm, family atmosphere that I have only found in few mosques in the years that I have been Muslim. The sisters helped each other in taking care of the children, they never reprimanded anyone for bringing their young children to the mosque, they hosted regular classes for free (up to three or four times a week), the imam was approachable and relatable (a convert, himself), and they were very meticulous about following the Sunnah to the finest detail. Nevertheless, as the Spanish saying goes and the Prophetic hadith confirms, Dime con quién andas, y te dire quién eres (Tell me who you hang out with, and I will tell you who you are), you are on the religion of your close friend (At-Tirmidhi), so I believe my decision to don a niqab was prompted by this environment. As a convert, I was even more inclined to follow the people around me. I would not say I was completely ignorant; I had converted about seven years prior to attending this masjid, I had read about the reasons why women wear niqab, general ahadith about hijab, and different scholarly opinions. I counted on the fact that my husband and I would be moving overseas, and I thought it would be easier to wear it in a Muslim land. Why not get a head start? What I failed to grasp was the lifetime commitment that it entailed, and how much it would change me. One thing that I was not willing to do was disclose this choice to my parents. As a Latina, Puerto Rican, and ARMY brat, there was no way that my family would accept such a thing. It had been challenging enough to get them to tolerate the headscarf. Telling them that I would be wearing all black and covering my face would either enrage them or give them a heart attack, or both. Likewise, some of my husband’s family, like his 90-year-old grandmother, would probably not take it well. Mom: Why don’t you just wear the scarf with a pair of pants? Me: Ma, I have to cover my figure. Mom: But you look like a vieja (old woman). You’re so palida (pale), put some make-up on. Me: I did… er… put a little bit. Mom: Don’t listen to your husband, :::closed fist in the air::: you don’t have to be submissive to him! Here’s some lipstick (pulls out red lipstick from purse and begins to smear it on me). Contrary to popular opinion, the niqab was not restrictive, it was empowering. As an introvert, I welcomed the sense of privacy and complete ownership of my personal space. If I cried, I could do so without displaying my vulnerability to the world. If I smiled, I could do it from ear to ear without being self-conscious about something being stuck in my teeth! It also tamed my Latino non-verbal communication methods of exaggerated body language and hand gestures that I had been told by some “born Muslims” were not compatible with the modesty and manners of a Muslim woman (I stopped believing that after living in Egypt). But, of course, with this empowerment came great responsibility. If before, with hijab, I was a billboard for Islam, now, with a niqab, I was a billboard for oppression. 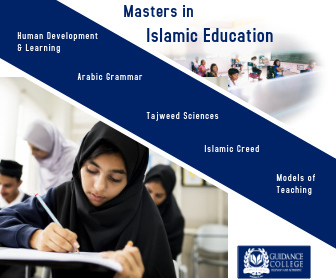 On the one hand, non-Muslims looked at me with disdain or pity, and on the other, fellow Muslims either saw me as an extremist or looked up to me like I had vast amounts of knowledge, like the niqab and abaya were my cap and gown and I had just graduated with a PhD from Islam University. There is something about the niqab that brings out other people’s insecurities. Either they feel guilty because they put you, the niqabi, on a high pedestal of understanding and spirituality (even though you do not deserve it), or they are envious for not having the courage to also wear it (giving more importance to a piece of fabric rather than their relationship with Allah), or they hate niqab with a passion, think you are absolutely crazy for wearing it, and they constantly lecture you about how it’s not obligatory. This added stress, ridiculous accusations, and false expectations make wearing niqab a real test of faith, in which one can easily fall prey to arrogance, self-aggrandizement, religious doubt, exhaustion, or even depression. I felt like the best way to avoid these issues was to isolate myself from people. I wore the niqab for two years mostly on, but sometimes off. I found it easy to wear in New Jersey, especially surrounded by other sisters who wore it, and in Egypt, where it provided the extra benefit of filtering the sand, dust, houka and exhaust fumes. I felt comfortable and well-protected. However, it was when we returned from Egypt that I started noticing the increasingly negative attention I was getting from strangers for the way I dressed. In one incident, a couple of Latina women began speaking about me in Spanish, not knowing that I could understand their conversation. I was standing behind them in line at a store in the mall with my 2-year-old in a stroller. They were saying, “Poor kid, having to be raised by ‘that’ in that horrible culture.” They shook their heads and looked at me condescendingly. Rather than be confrontational, I simply turned to my son and started speaking to him in Spanish, making sure they overheard. Both women turned away embarrassed. I thanked Allah for the niqab, because my cheeks were burning red out of anger. Similar incidents occurred to me whenever I would go out, but it was when I moved further south that I felt afraid for my safety and that of my children. At that point, my eldest was 2 and a half years old and my second was a baby. The verbal abuse came more frequently. I was called a terrorist by Walmart employees in front of my children. I was also violently confronted at a gas station, while my children were in the car, by a man who thought I had been staring at his wife, even though I was not even looking her way (I guess he couldn’t tell because my face was covered). A gentleman who worked at a grocery store where my husband and I would frequently do our shopping stopped us and demanded to know why my husband forced me to “dress like that.” Again, in front of our children. These hate-driven incidents grew until I could no longer go outside alone out of fear. I started to realize the niqab no longer offered me a sense of closeness to Allah or protection, and it became a burden on my own children. Not only was it a physical veil, but it had also begun to obscure who I was as a person. Dawah became more difficult, because people were no longer willing to see beyond the piece of fabric covering my face. My own people, Latin-Americans, did not see in me, as they had in the past, a similarity to the Virgin Mary, which made Islam more familiar and appealing to them. This was the same reason why I knew I would never wear niqab in front of my family, and why it could never be part of me 100%. I went through a period where I questioned why I was wearing niqab, and I questioned why I was questioning it. I read and reread fatwas, articles, and books about hijab, and made du’a for guidance and strength. I no longer had a community of niqabi sisters around me, and as I read more about niqab, I saw that things were not as black and white as some people make it seem. I realized eventually that I was guilt-shaming myself for something that I had never considered obligatory in the first place. Unfortunately, for convert sisters and some who are raised Muslim and finding their way, learning that there are varying opinions on certain religious matters is a long process. I have known of some newly converted Muslims who rush into the Deen, and overburden themselves with unnecessary practices, only to then abandon Islam altogether. Likewise, there are others who take baby steps and their faith grows gradually over time, like a firmly rooted tree. Once I resolved to remove the niqab for good, I started worrying about what people would think. At that point, I told myself, if I were to keep it on, it would no longer be for Allah, but for people, and that was scary. Alhamdulillah, I sought advice from a friend about my struggle and surprisingly, she shared with me her own failed niqab story. She (a South Asian “born Muslim”) had also worn it and stopped after years for the same reasons, and although some people in the masjid shunned her for some time, she felt it was the best course of action for her and her family. She reassured me that it was my decision and advised me to seek comfort in the mercy of Allah. When I removed the niqab, I started to find myself again. Now, ten years later and almost two decades into the Deen, I feel reconnected with my culture and have long accepted that I can be Puerto Rican while being a Muslim, and that I can be modest while maintaining my identity. The process of converting and then really “owning” your faith take time, and we will hit many bumps along our journey. Wearing the niqab was part of my learning curve, and I appreciate both the good and the bad from it. So, for those who want to compare how they looked ten years ago to now, I challenge you to instead reflect on how much you have learned about yourself. Note: This reflection is by no means a criticism of the niqab. Many sisters, some Latinas, wear niqab with pride, and the beauty of Islam is that we are free to decide what works best for us. May Allah make your personal journeys easy. Ameen. The first-time I wore hijab, it was really tight around my head that it wasn’t ‘me’ and now I wear it loosely wrapped so it is in line with my culture. As a latino, maybe you can go creative with your hijab. To wear the niqab is really tough, and not everyone is suited to that. Really enjoyed your piece. Very clearly written from the heart. I do not wear the niqab, only the hijab. Everybody’s situation is different and truly our environment influences our decision and we may need to adapt so long as we are still within the limits of the deen. You made your decision after prayers and soul searching. The religion should be one of ease. We often forget that. Allah knows best what is in our hearts. He knows best our motives. May He accept all we do for His sake as Ibadah. Aameen. Loved the story. As a man, I’m always impressed with hijaabis in America and with niqaabis exponentially so. Any woman wearing either is immediately identifiable as a Muslim as soon as she steps out her front door. With that comes the stares, comments, insults, etc. I don a kufi on a daily basis—to work, to the grocery store, etc.—but it’s simply not the same. Most people don’t know to associate a kufi with Islam or Muslims, so I’m not a potential target like my wife, mother, etc. Thanks for this piece. Keep writing! I do wonder whether Western Muslims wearing the hijab is an insult to the millions of women in Iran forced to wear one. The ‘My Stealthy Freedom’ movement, where Iranian women post photos of themselves in nature without the head covering, seems to be ignored by Western Muslims who have the choice. Perhaps this is why the Ayatollah Khamanei derides Western Muslims, virtually saying they are not true to the faith. Very enjoyable piece! maashaAllah. I am in the same boat, except I stopped wearing the niqab because my faith wasn’t at a high enough level to keep wearing it. At least that’s what I said and felt as a very silly teenager living in Dubai. I felt the guilt of taking it off because everyone looked down on me after… But I was glad I didn’t continue at that time. Allah reward you for your good deeds and the harshness you had to endure. Allah protect you and your family. Salam sister I agree with you since covering the face is and should be considered an option not a must. I can recall a hadith regarding this issue where women asked the Prophet saw whether they should veil their faces from stranger passbyers and the Prophet saw answered YES. And to take this and make it a fardh a must is not acceptable as you see Allah swt never burdens a servant with unbearable burdens. Therefore I understand you and wish you all the best. This sentence is self contradictory because the literal definition of Islam is exactly the opposite of what you said. In fact by entering into Islam a person gives up that freedom, by definition. Alhamdulillah, our religion is balanced and just for all. There are things that are compulsory, and others that are flexible. Thanks again for commenting. May Allah bless you. A sincere and honest piece of writing. Finally, someone who has opened the floor to discuss the struggles that come with niqab. 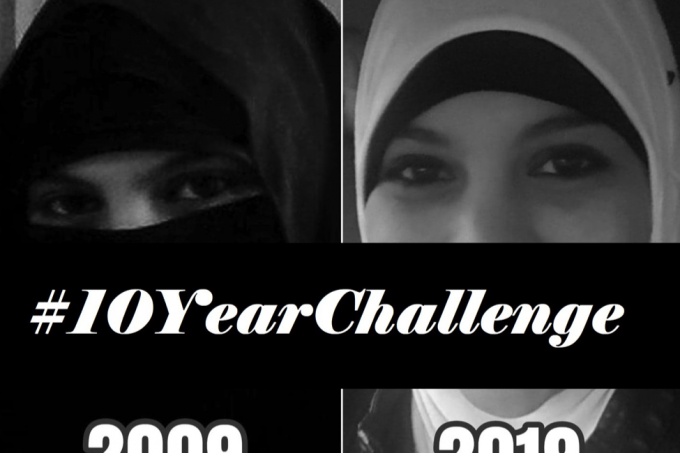 As someone who has worn niqab for 16 years, it has been a wavering journey (and still is). This is the first time I have come across an article that has put into words the feelings and thoughts attached to the struggle of wearing niqab. I love the niqab and have worn it with much pride, nonetheless there have been times where I had struggled with the commitment of wearing the niqab (strongly). Until very recently, the relationship with my niqab (as well as my level of emaan) had fluctuated, it had driven me to the point where I questioned the purpose and sincerity of wearing it. When I read the part “I started worrying about what people would think. At that point, I told myself, if I were to keep it on, it would no longer be for Allah, but for people, and that was scary” this was exactly the thoughts that ran through my mind that the sister has so carefully worded. Through asking Allah endlessly for giving me the strength and guidance, as well as long talks with certain individuals, alhumdulilah I feel at peace (at this moment) with this piece of cloth that physically (and spiritually) defines who I am. May Allah give us strength to practise His deen to the best of our ability and allow us to grow as individuals spiritually.